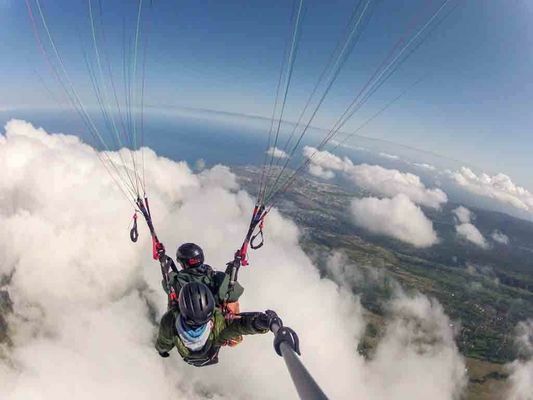 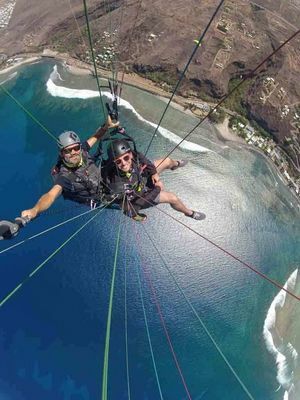 With Courants d'R, discover the Réunion island by paraglider from the sky, without any noise other than the wind, accompanied by a professional. 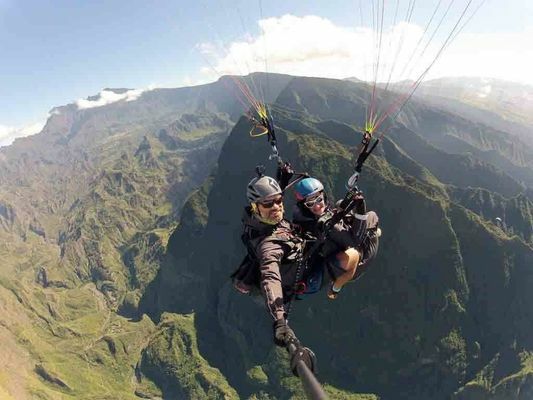 The feeling of freedom, gentleness and of embracing a wonderful landscape, between the ocean and the mountains, A MUST when you are in the Réunion island. Whether it is for an introduction into paragliding above Saint-Leu or a longer flight, the different deals are adapted to everyone's budget and are calculated according to the flight time and the sites selected. 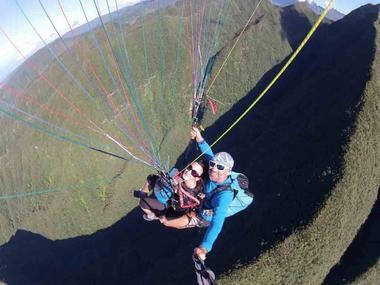 These two-seater paraglide flights are for everyone, without prior preparation. 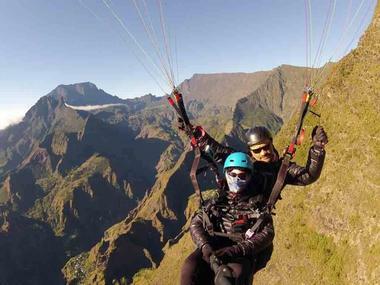 An early flight in the morning is offered in a very calm ideal aerology. There is no sensation of vertigo when paragliding as the feet do not touch the ground. When flying, there is the possibility of seeing Tropicbirds, sometimes Réunion harriers (the birds of prey endemic to the Réunion island), and possibly, with a little luck, flying over the whales, dauphins, tortoises and rays in the season. 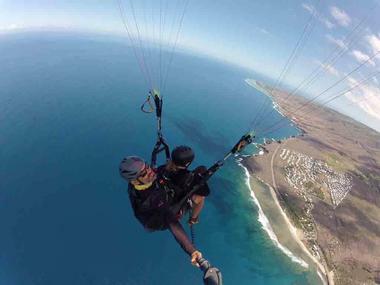 There is the option of piloting for a few minutes and, for experienced thrill seekers, the pilot will suggest doing some acrobatics above the lagoon. The landing is a gentle one on the beach. 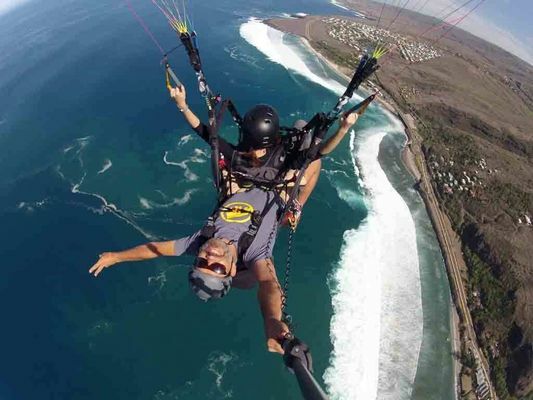 There is the option of going away with flight photos or videos. 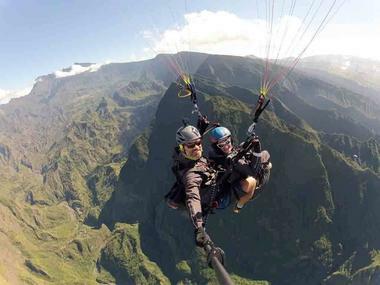 Courants D'R is also a specialists in flights of great spectacle and gives you the option of discovering the heart of the Réunion island from the mythical summits. 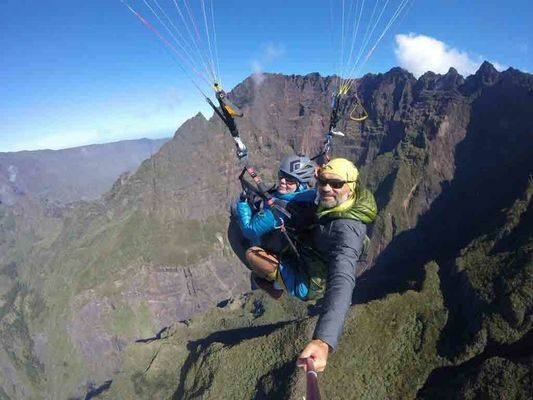 Maïdo, Dimitile, Piton des Neiges... 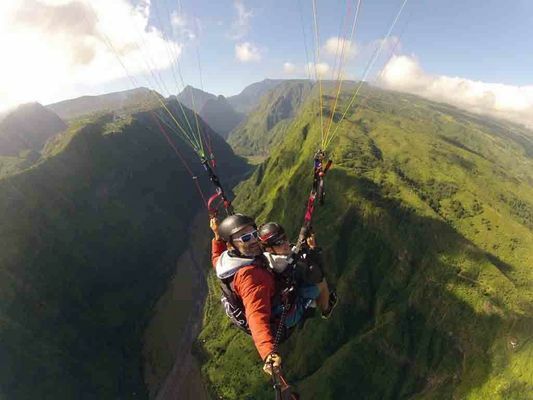 Discover the incredible cirques of the Réunion island calmly, from the air. 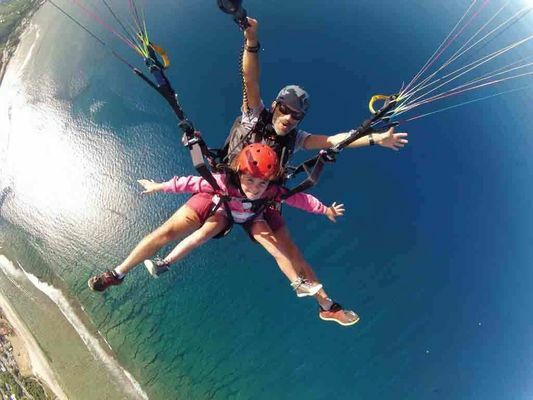 Thrills and atmosphere guaranteed.